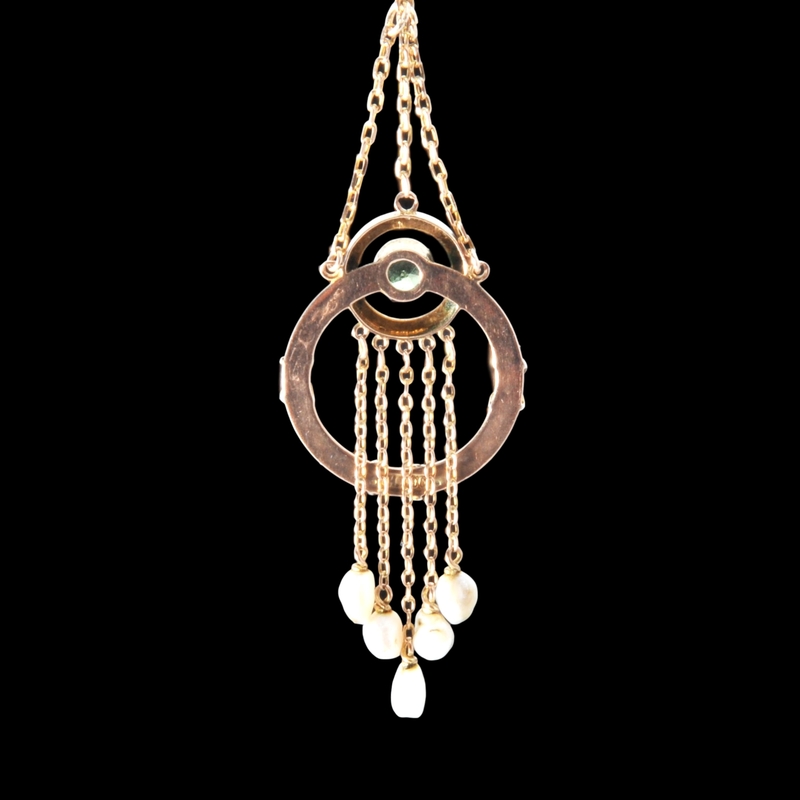 A particularly nice belle epoque pendant by the well regarded arts and crafts jewellers Barnet Henry Joseph. 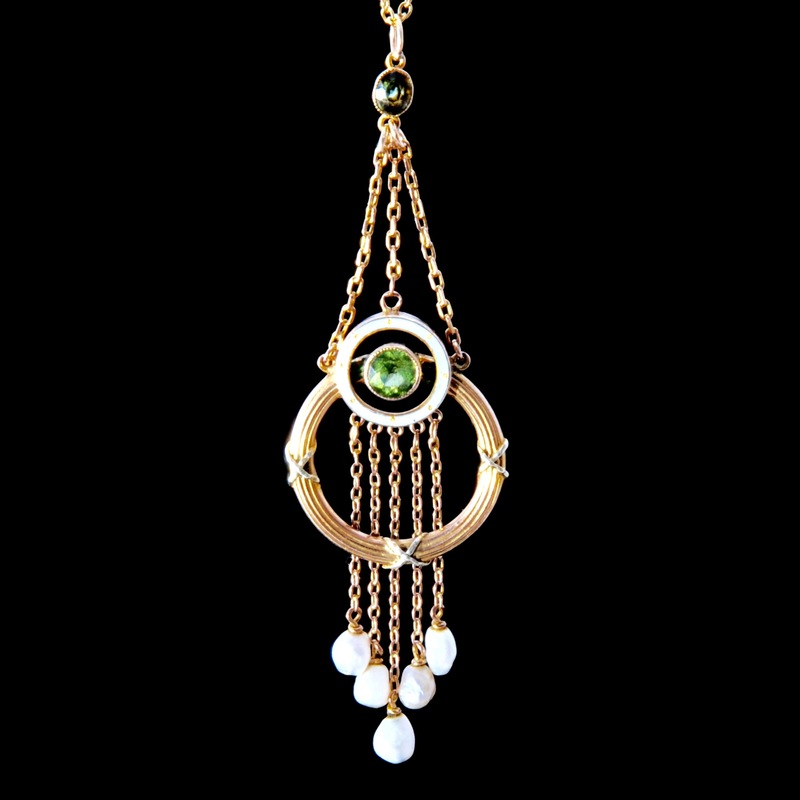 The pendant is marked for 9 carat gold with white enamel surround, pearl drops and green peridots. It has secessionist feel and dates to around 1900.